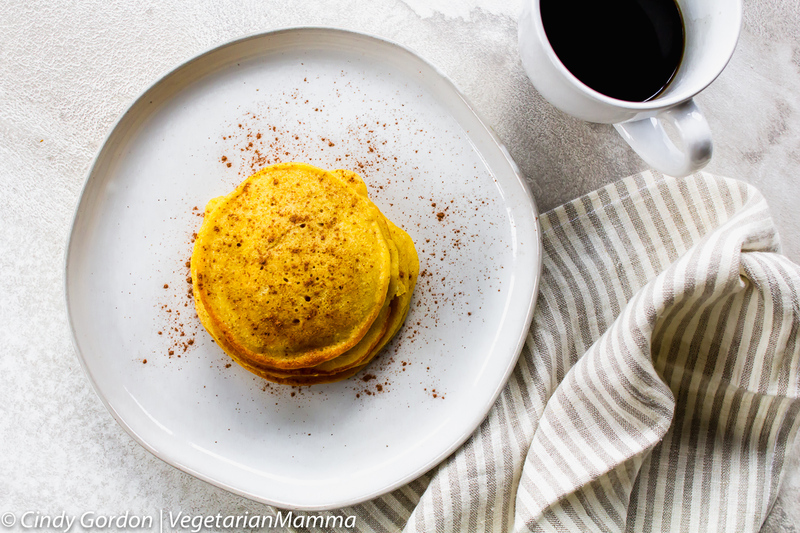 Gluten Free Pumpkin Pancakes are the perfect way to start a fall weekend. 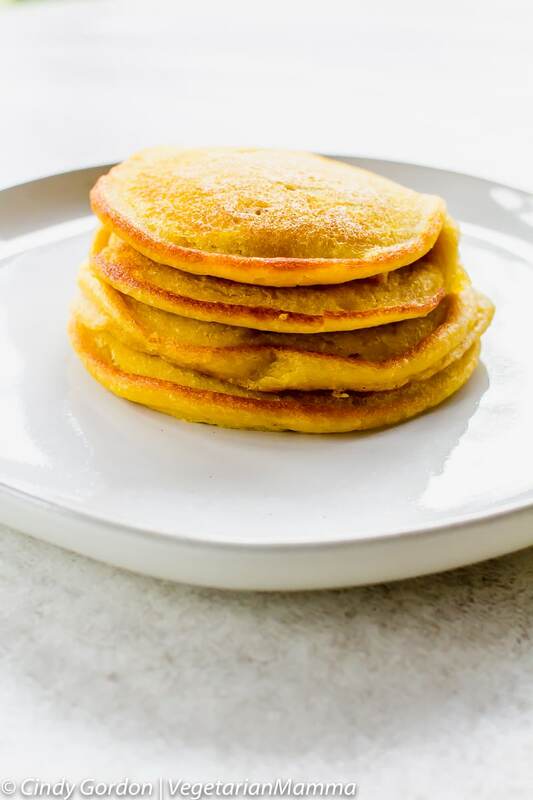 Just think, your family gathered around the table enjoying flavorful and easy to make pumpkin pancakes! We love to start our mornings with pancakes. With Fall rounding the bend faster than I’m ready for, it’s time to start thinking about anything and everything pumpkin flavored. Have you ever wondered why the flavor of pumpkin is so popular during the Fall months? One moment it’s summer, and the next moment it’s pumpkin season. Shouts can be heard across the globe for people craving ANYTHING pumpkin. Don’t you believe me? Walk the aisle at your local grocery store during the Fall months and see how many items you can see that are pumpkin flavored. Coffee, creamer, donuts, soup…you name it, it’s all there. Nothing is off limits when it comes to being flavored pumpkin. 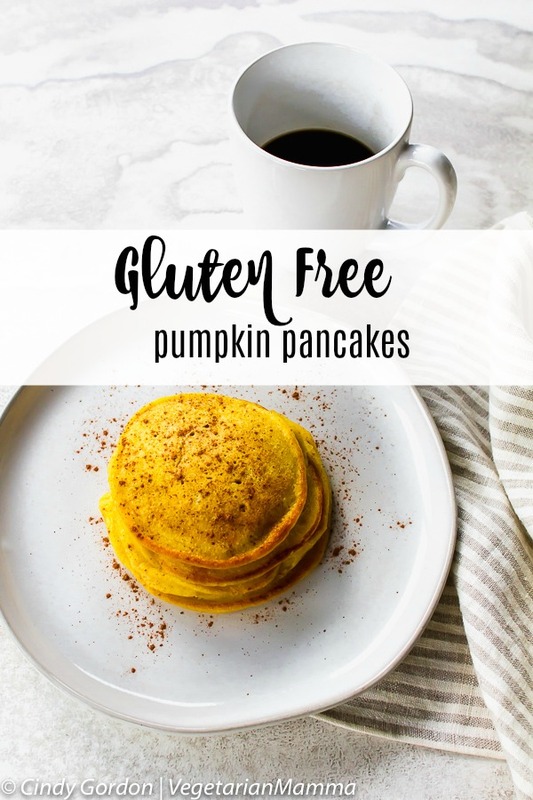 What I love most about this Gluten Free Pumpkin Pancake recipe is that it’s something that I can create, in the comfort of my own kitchen. Once I make them, my house smells like glorious pumpkin pancakes literally ALL. DAY. LONG. Trust me when I say that you are going to love this recipe! It is perfect in the fall, but honestly, you can make it year round! Pancakes are one of those comfort foods that everyone enjoys eating differently. In our family, each and every one of us enjoys having a stack of pancakes and topping it differently from one another. Some of the best ways to eat pancakes can be to add any of these options as a topping! If you’re really celebrating, it’s always fun to add sprinkles and birthday candles as well to tell someone “Happy Birthday” early in the morning! Even Chianti the Cat, one of our animal coworkers, wanted to snag a bit of these pancakes. 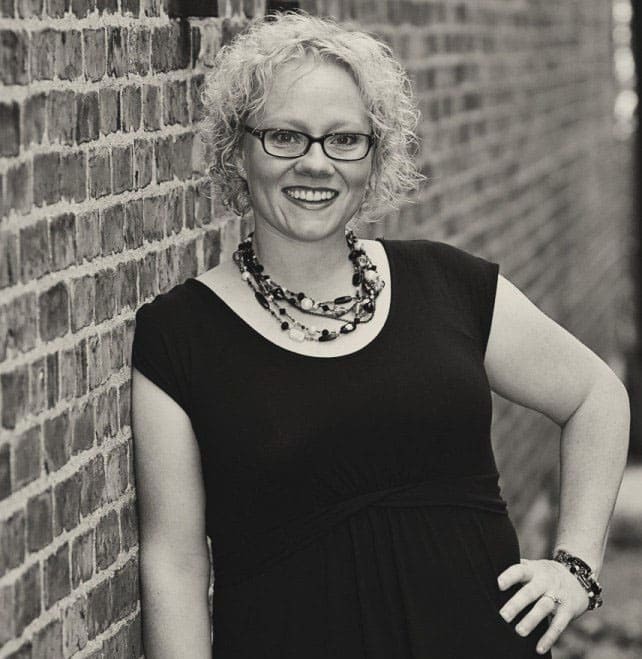 She was overseeing the photo shoot! 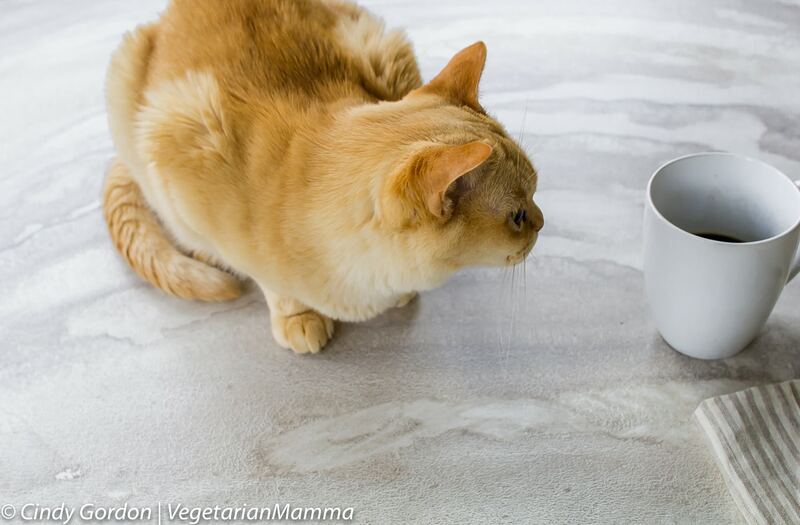 You know these Gluten Free Pumpkin Pancakes must be good when a cat has to get a sneak peak of these pumpkin pancakes! Pumpkin is one of those foods that pack a punch full of healthy nutrients. Loaded with Vitamin A and fiber, pumpkin is a great choice to eat for any meal of the day. There are so many great ways that you can enjoy eating pumpkin, that there’s really no reason not to! 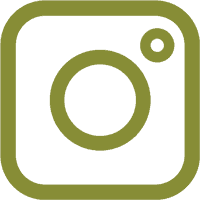 Pumpkin spread, pumpkin bread, pumpkin muffins and pumpkin smoothies are just a few amazing recipes that you can try to get a bit of a healthy jump start to your day. Don’t stop there! Here are a few other amazing pumpkin recipes that you should add to your weekly rotation as well! One tradition that I hope that they’ll remember as they get older and go out into the world, is the tradition of pumpkin pancakes during the Fall mornings. I love thinking about all the chilly mornings that I’d wake up early to start making pumpkin pancakes to be ready for them when they wake up. Just seeing the smiles on their faces was the perfect reaction for me each and every time. 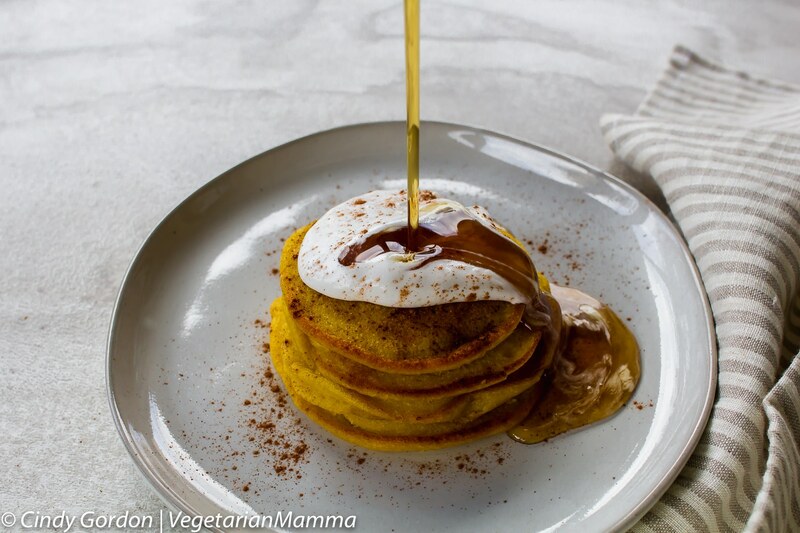 As long as they keep loving these pumpkin pancakes, I’ll keep making them over and over again. One of the other reasons that I really enjoy these pancakes is that they are not only super simple to make, but they freeze easily, too! When you find that you have several busy weekends coming up and you’re worried about getting healthy food into the tummies of your little ones, make a double batch one weekend and freeze them for a later need. If you find that you have a need for a couple pancakes on the go, simply grab out a couple and let them thaw! Your kids will love having the flavor of pumpkin while they’re traveling down the road! Seriously, don’t delay in making these pancakes for you and your family! 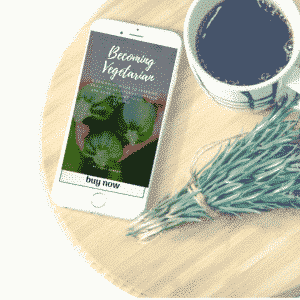 Pairing them with a cup of coffee and good conversation is the perfect way to spend any morning of each and every day! Do you love the flavor of pumpkin? 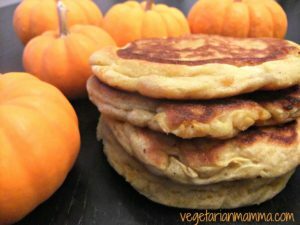 Have you ever made pumpkin pancakes before? I’d love to hear what toppings you add to make your taste buds happy! 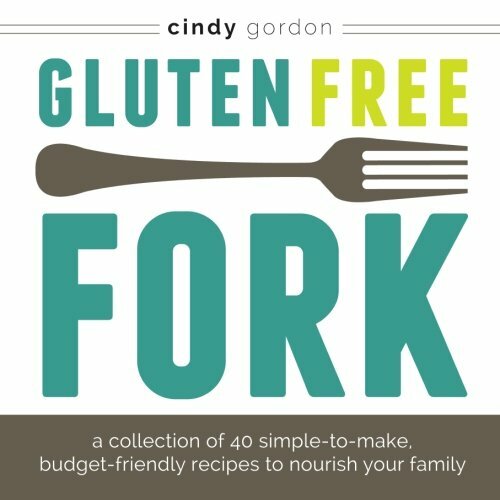 Looking for more gluten-free recipes? 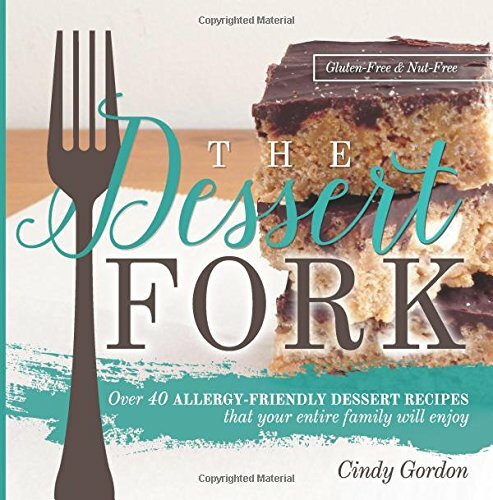 Check out these recipes: Loaded Plentils Nachos, Creamy Corn Soup, Gluten-Free Fudgy Brownies, Gluten-Free Brownie Trifle and Gluten Free Cinnamon Roll Muffins. 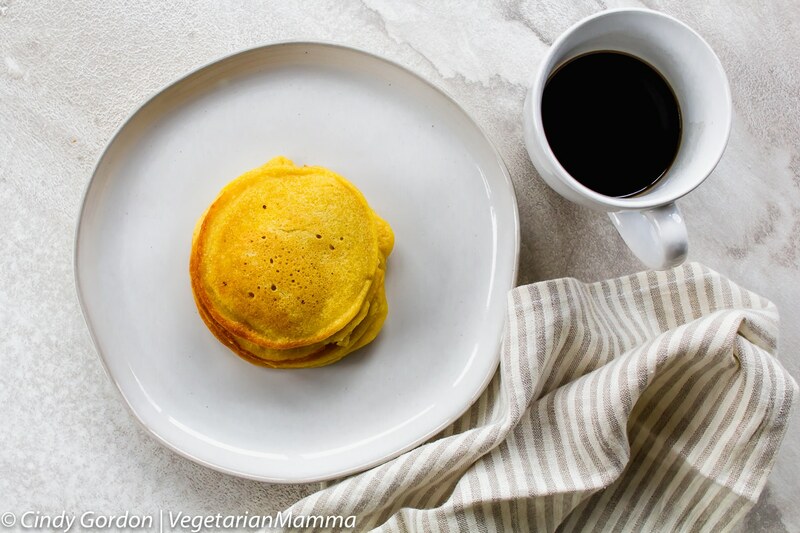 If you are looking for a gluten-free pancake recipe that you can make ahead of time, you have got to check out this recipe! Heat skillet or griddle on low. Lightly oil. Cook pancakes on each side until golden. (about three minutes on each side) Time will vary depending on the heat of your skillet/griddle. Serve with maple syrup! ENJOY! These pancakes are delicate, so take gentle care when flipping them in the pan! Question: Are you a pumpkin lover? Drop me a comment below, letting me know! I recently remade this recipe, same great recipe but a new look. It has been 6 years after all since I took the photo below! 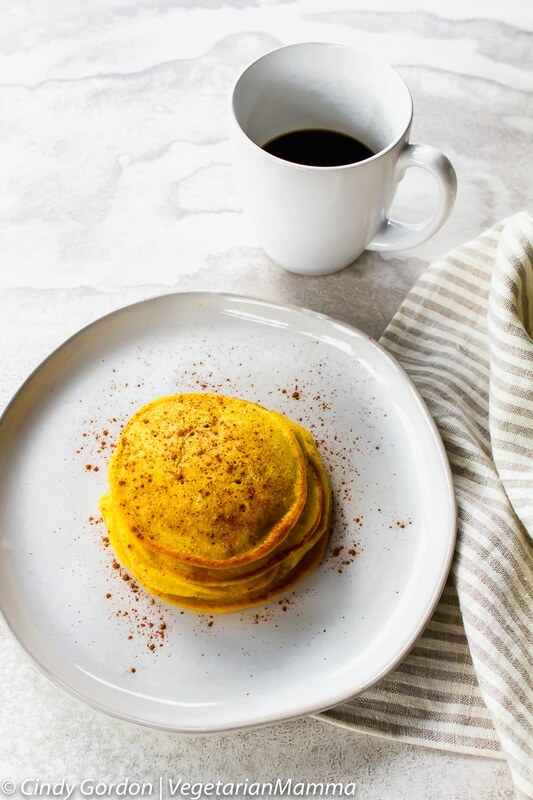 This recipe is getting me excited about all things fall especially pumpkin pancakes. We love anything pumpkin at our house. I love when pumpkin hits! The cool crisp temperatures and the smell of pumpkin roasting in the oven! I will have to make these for my Mom for her 90th birthday! She has been gf for over 40 years! She will love them! so happy that pumpkin season is right around the corner! These pancakes would be perfect with a cup of coffee! I’m so ready for fall that I’m already mixing up fall recipes for the family with the hope that it brings the season and weather quicker! This recipe sounds amazing, I can’t wait to try! P.S. I LOVE your cat’s name! 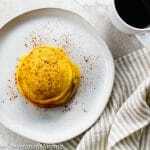 Oh wow!love pumpkin and spices and this looks super delicious!! Can’t wait to try this soon!